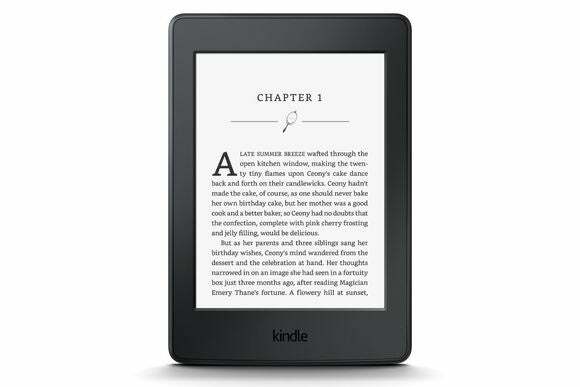 Amazon's mid-range Kindle becomes easier to read with a 300-ppi display and some sweet new text tricks. The third-generation Paperwhite has a 300-ppi display, up from 221 ppi on the previous model from late 2013. This resolution boost puts the Paperwhite on par with Amazon's $199 Kindle Voyage e-reader, but at a much lower starting price of $119. If you want to spend less, Amazon is still selling the basic Kindle for $79 (with lock-screen ads; $99 without those "special offers"). It's a bit lighter than the Paperwhite, but its touchscreen isn't as crisp at 167 ppi, and it doesn't have a backlight. There's no 3G option on the basic Kindle either, in case you want to download books without a Wi-Fi connection. 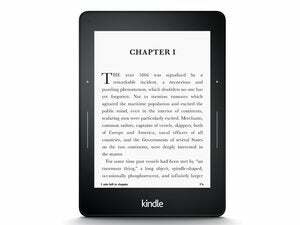 The new Paperwhite is available for pre-order now, with a June 30 release date. The $119 price tag includes Amazon's Special Offers lock screen advertisements, which can be removed for an additional $20. Adding 3G connectivity raises the price by $70.